This brush offers our longest and widest linear fibre bundle, which is slightly shorter than the length of your lash line. 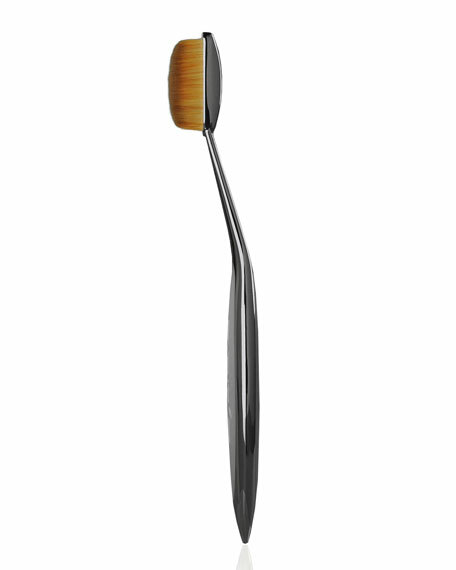 The Linear 6 applies products to linear shaped areas of the face, like your eyebrows or can be turned sideways to sweep product across the eyes or cheeks. The Elite Collection handles use paired elliptical/oval shapes with a bundle design that offers thousands of fibers all aligned to form a linear shape. 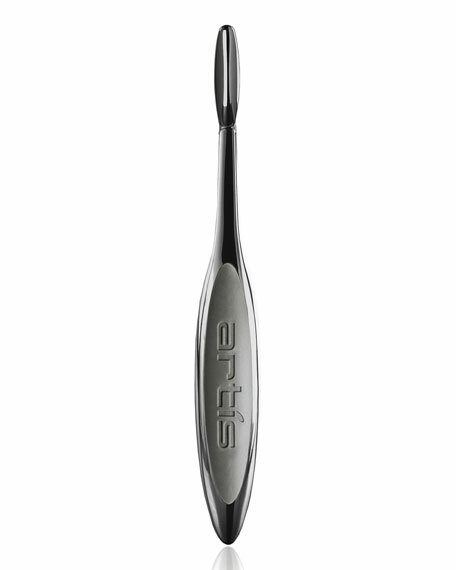 The double oval design and unique bundle orientation is exclusively patented by Artis, and CosmeFibre is trademarked. Artis brushes are made exclusively with CosmeFibre, a revolutionary engineered fiber made for applying cosmetic and makeup products.